If you are a new gardener, you may be wondering what kind of soil you have in your garden. You probably know that all soil is made up of three parts; clay, sand and silt, and that for best results you should aim for loamy soil. What you may not know is that you can test your soil yourself to determine its composition. 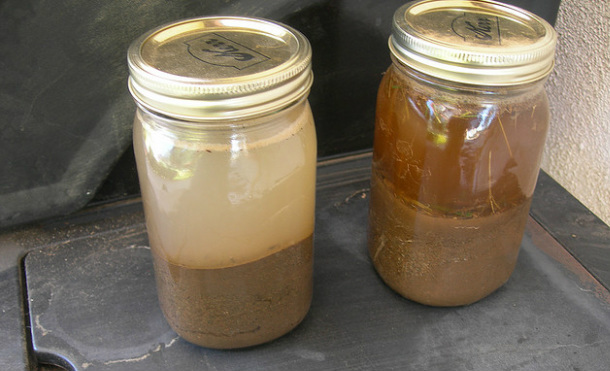 Fill a quart mason jar approximately half way with your soil sample. Pour water into the jar to within an inch or two of the rim. Replace the cover and seal tightly. Allow the jar to sit undisturbed for one hour. Mark the second layer of sediment. This layer is silt. Leave the jar in the same location for 24 hours and mark the third layer. This layer is composed of clay. 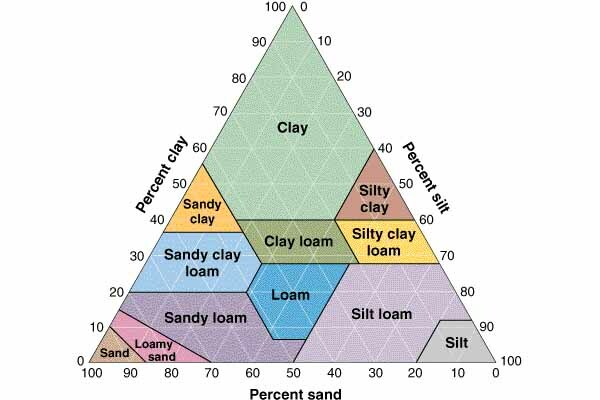 Compare the proportions of each layer to calculate the percentage of each component of your soil. Locate the area on the triangle chart by following the lines and marking where they intersect to determine the type of soil you have.